Impel individuals and peoples to break down the walls of selfishness, of arrogance and hate, in order to open themselves to fraternal respect for all human beings, near or far, because they are people, brothers and sisters in Christ. Induce all individuals to offer the help necessary for those in need, to renew their own hearts in the grace of Christ the Redeemer. Emmanuel! You are in our midst. You are with us. [You are] coming down to the uttermost consequences [of the Covenant] made from the beginning with man, and in spite of the fact that it was violated and broken so many times…You are with us! Emmanuel! In a way that really surpasses everything that man could have thought of you. You are with us as man. You are wonderful, truly wonderful, O God, Creator and Lord of the universe, God with the Father Almighty! The Logos! The only Son! God of power! You are with us as man, as a newborn baby of the human race, absolutely weak, wrapped in swaddling clothes and placed in a manger, “because there was no place for them” in any inn (Luke 2:7). Is it not precisely that because you became man in this way, without a roof to shelter you, that you became nearest to man? Is it not precisely because you yourself, the newborn Jesus, are without a roof that you are nearest to those brothers and sisters… who have lost their homes through the terrible earthquakes and storms? And the people that really come to their aid are precisely the ones who have you in their hearts, you who were born at Bethlehem without a home. Coming later this month, Scott Hahn will be sharing with the world the enduring importance of the nativity. We’re all familiar with the story. The pregnant Mary on the donkey. The stable. The shepherds. The three wise men. In the excitement, busyness and commercialism of the season, it’s easy to forget the importance of this central feast day. And what an importance it has! In this book, Hahn challenges us to really stop, think and pray this year. What do we celebrate at Christmas? The Almighty God, Creator of Heaven and Earth becoming a small baby born in adverse circumstances. I’ll stop for a moment so you can wrap your brain around that. 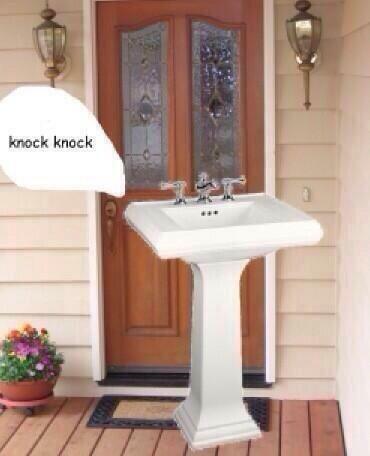 I’m just going to let that sink in. Image source. Seriously though, let that important truth of our faith sink in. How freaking powerful is that? 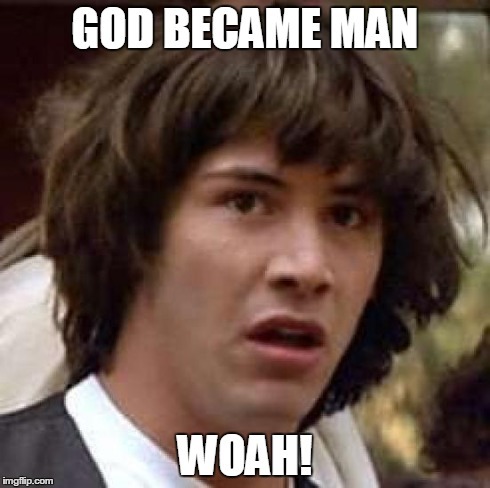 God became man so we might become god. God, the all-powerful, all-knowing, Creator of everything, was born a human being and died for us. This incarnational truth is only a part (admittedly a huge part) of the depth and breadth of the Christmas story explored in Joy to the World. This short book is full of material to feed your soul all year long. I highly recommend that you give one to yourself for the Advent season. And while you’re at the store, get copies for everyone else you know. After all, it is the season of giving! 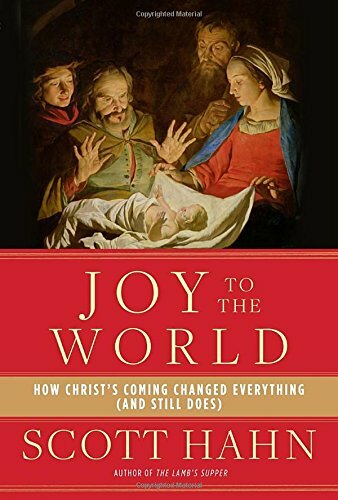 Joy to the World will be available by the end of this month (October 2014). I have been given the opportunity to read this book in advance in exchange for an honest review. I thank Crown Publishing for this opportunity. I was able to do this through my membership with NetGalley. If you’d like the opportunity to read good books and review them for your audience, membership to NetGalley is completely free and easy to sign up! I highly recommend it!